BORDER RADIO w/ Chris D.
Before carving out a niche as one of the most distinct voices in nineties American cinema, Allison Anders made her debut, alongside codirectors and fellow UCLA film school students Kurt Voss and Dean Lent, with 1987’s Border Radio. A low-key, semi-improvised post-punk diary that took four years to complete, Border Radio features legendary rocker Chris D., of the Flesh Eaters, as a singer/songwriter who has stolen loot from a club and gone missing, leaving his wife (Luanna Anders), a no-nonsense rock journalist, to track him down with the help of his friends (John Doe of the band X; Chris Shearer). 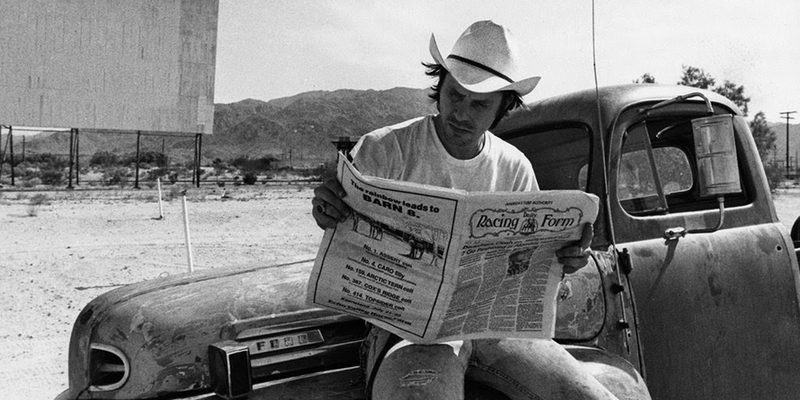 With its sprawling Southern Californian and Mexican landscapes, captured in evocative 16mm black and white, Border Radio is a singular, DIY memento of the indie film explosion in America. Intro and Q&A with Chris D. and programmer and film writer Kier-La Janisse. It’s the return of the Saturday Morning All-You-Can-Eat Cereal Cartoon Party, with an ALL NEW show curated by film programmer, writer and pop culture connoisseur Kier-La Janisse! It’s that special time when kids and kids-at-heart get to relive the exciting Saturday Morning ritual of non-stop retro cartoons, and binge on the multi-colored sugary cereals that used to be a part of every “balanced” breakfast! 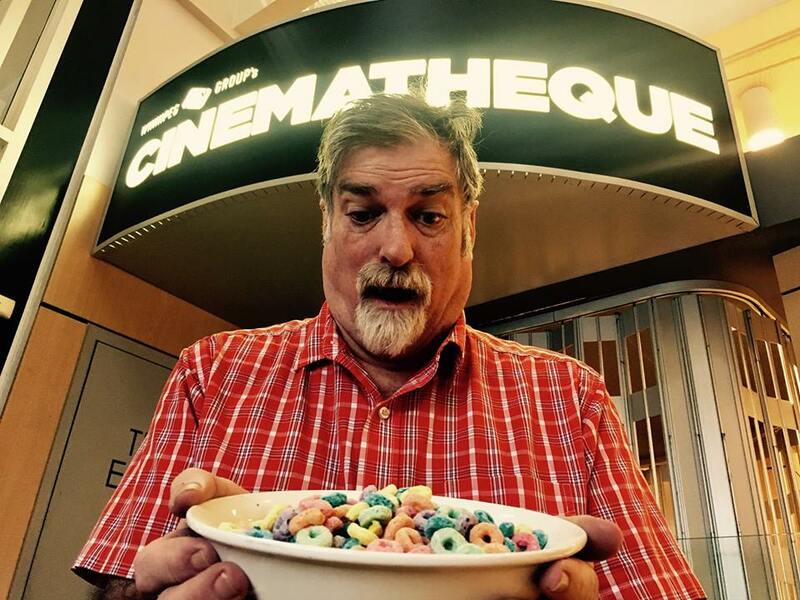 As always, this 3-hour trip into the weird and wonderful world of yesteryear’s animated antics will be accompanied by an all-you-can eat buffet of cereal that is open throughout the show (and yes, there will be non-dairy options too!). The cartoon lineup is always a mystery, but you’ll see both faves and obscurities spanning the 40s through the 80s, all punctuated with vintage commercials and PSAs! So get ready for a sugar rush and an explosion of nostalgia all wrapped up in one candy-coated package. Curator Bio: Kier-La Janisse is a film writer and programmer, Editor-in-Chief of Spectacular Optical Publications, and founder of The Miskatonic Institute of Horror Studies. She has been a programmer for the Alamo Drafthouse Cinema and Fantastic Fest in Austin, Texas, co-founded Montreal microcinema Blue Sunshine and founded the CineMuerte Horror Film Festival (1999-2005) in Vancouver. She is the author of A Violent Professional: The Films of Luciano Rossi (2007) and House of Psychotic Women: An Autobiographical Topography of Female Neurosis in Horror and Exploitation Films (2012) and contributed to Destroy All Movies!! The Complete Guide to Punks on Film (2011), Recovering 1940s Horror: Traces of a Lost Decade (2014), The Canadian Horror Film: Terror of the Soul (2015) and We Are the Martians: The Legacy of Nigel Kneale (2015). She co-edited and published the anthology books KID POWER! (2014), Satanic Panic: Pop-Cultural Paranoia in the 1980s (2015), Lost Girls: The Phantasmagorical Cinema of Jean Rollin (2017) and Yuletide Terror: Christmas Horror on Film and Television (forthcoming, 2017). She is currently writing the book A Song From the Heart Beats the Devil Every Time: Children’s Programming and the Counterculture, 1965-1985 and a monograph about Monte Hellman’s Cockfighter. A television series based on her book House of Psychotic Women is currently in development with Rook Films. 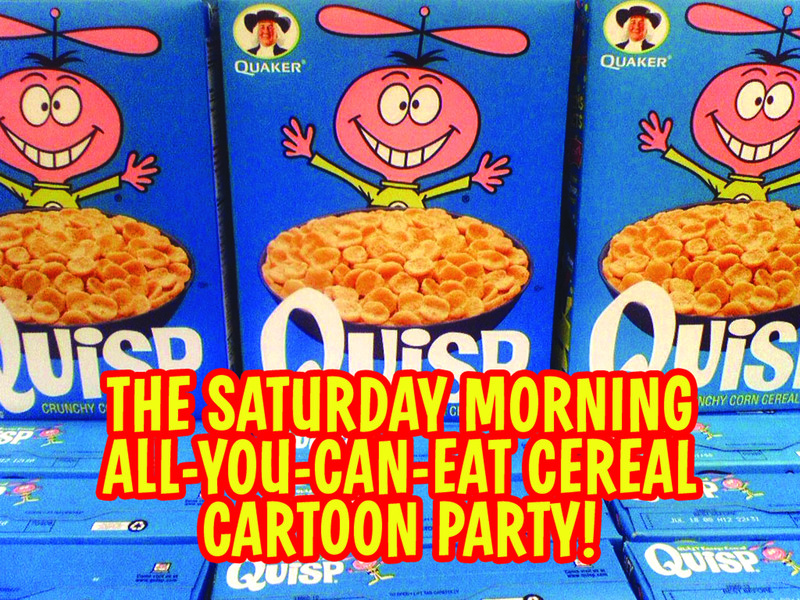 The Saturday Morning All-You-Can-Eat Cereal Cartoon Party at BUFF! Teenager Simone (Desiree Nosbusch – former Radio Luxembourg host and future TV star/Falco collaborator) is seventeen years old and obsessed with a pop star. But soon her fixation on New Wave singer "R" – Bodo Staiger of real life synth-pop band Rheingold, who also composed DER FAN’s superb soundtrack – takes over her life. She sends him countless unanswered letters, walks out of her school, breaks off from her friends and parents and busts in on the latest “R” video shoot at a local TV station to get his attention. Simone wants nothing more than to love and be loved by "R". But when he coldly uses and leaves her, and turns out to not be everything she hoped for, Simone’s homicidal delusions begin to fixate on a final, terrible sacrifice. DER FAN (The Fan) is a shocking and controversial film presented here in a rare English language 35mm print. In Toronto on August 4th 2018, we’ll be boarding the first-ever Horror Express, a chartered bus tour of iconic horror film locations, taking place throughout the greater Toronto area. This 6-hour tour hosted by writer, musician, filmmaker and ex-Fangoria EIC Chris Alexander will stop at 15 iconic horror locations (primarily from Canada's infamous tax shelter era) for photo ops and pass by many others as we navigate through the history of Toronto’s cinematic underbelly. The tour will begin with a 10:30am registration in central Toronto (location to be disclosed to registrants in an email) and departure at 11am, and will run until approximately 5:00pm, including a stop for lunch along the route (cost of lunch not included). You can also bring snacks on the bus. 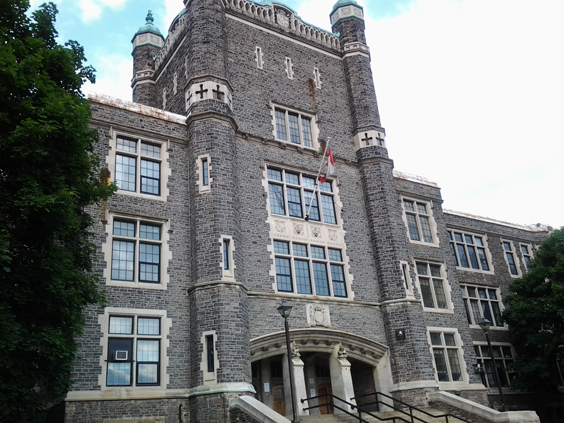 The tour will wind up at The Royal Cinema at 608 College, where they will be presenting a 35mm screening of Mark Lester’s Toronto-shot Class of 1984 with star Lisa Langlois in person! Tickets for the bus tour and screening are sold separately. Note – there is extremely limited seating on the bus so act fast! New 2K restoration courtesy AGFA! Hosted by author and programmer Kier-la Janisse! Alamo Drafthouse New Mission - 2550 Mission St.
To kick off the holidays in style, we're extremely honored to welcome author and programmer Kier-la Janisse to the New Mission! Kier-la's essential book, Yuletide Terror: Christmas Horror On Film and Televsion (co-edited with Paul Corupe), is a mandatory reference manual for yuletide ghouls. She'll be here with copies of her book, as well as presenting the major rediscovery of the Santa slashin' season --- DIAL CODE SANTA CLAUS (aka 3615 CODE PÈRE NOËL and DEADLY GAMES)! 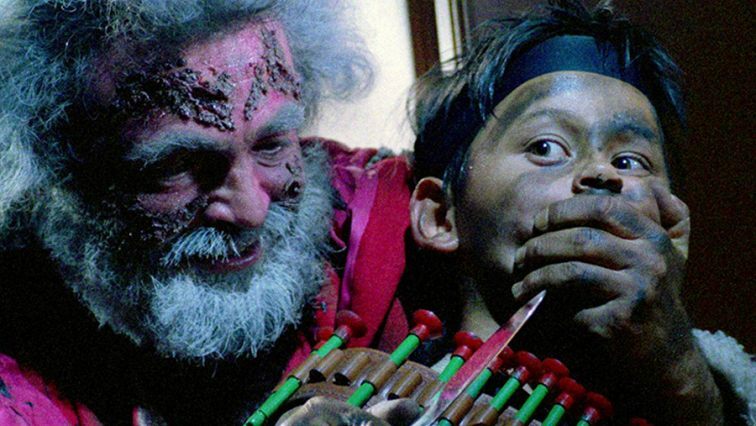 Previously only available via VHS bootlegs and a huge audience slayer at Fantastic Fest, DIAL CODE SANTA CLAUS (aka 3615 CODE PÈRE NOËL and DEADLY GAMES) is your new favorite holiday slayride. Thomas is a typical 1980s kid: he loves computers, role-playing games, and his dog. While mom is away at the office on Christmas Eve, Thomas and his grandfather are left home alone -- perfect timing for a disgruntled, perverted, bloodthirsty Santa Claus to raid the home down the chimney. But Hell hath no fury like a mulleted ten-year-old with an arsenal of toys! Made a year before HOME ALONE, the French-made DIAL CODE SANTA CLAUS has almost the same plot -- only filled with more style, bloodshed, and Rambo references.